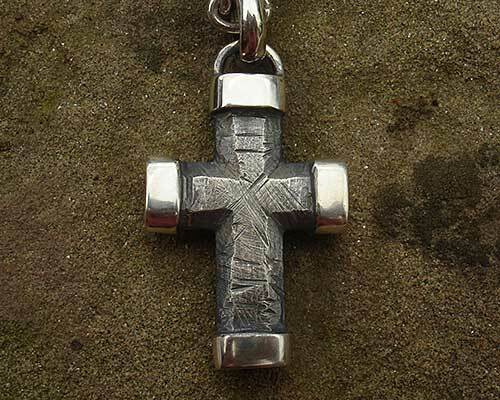 Men's Battle Jewellery Cross Necklace : LOVE2HAVE in the UK! Chunky and resilient this men's heavily oxidised sterling silver cross and chain necklace really do look the part when it comes to men's jewellery. We christened it a battle necklace as it somewhat seems inspired by fantasy stories or ancient civilisations. We can just imagine this necklace adorning a warrior of some sort. The necklace is made up of a chunky angled silver cross measuring 42mm x 26mm, and a silver chain made up of links measuring 5mm each. The chain is 18 inches as standard, but other lengths are available on request. The cross features stylish silver end caps, giving the design that extra masculinity. 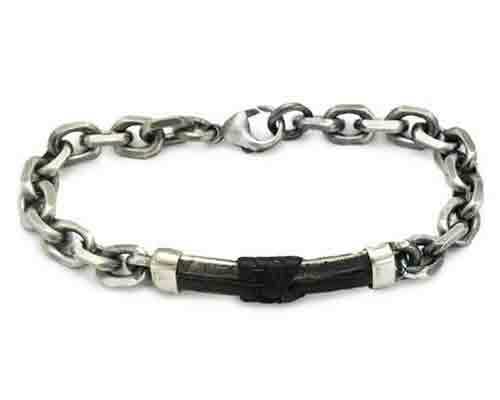 The two come joined with a thick chunky silver jump ring, and the chain comes securely fastened with a sturdy lobster clasp. It weighs approximately 32 grams depending on the length. It is available also as a unique combination piece comprising of leather which comes attached wound around the cross centrally in a criss-cross fashion. Please specify if you require the leather when ordering. The silver comes in a dark oxidised finish giving this particular necklace that distressed urban feel for men. A matching bracelet is also available from our website too.